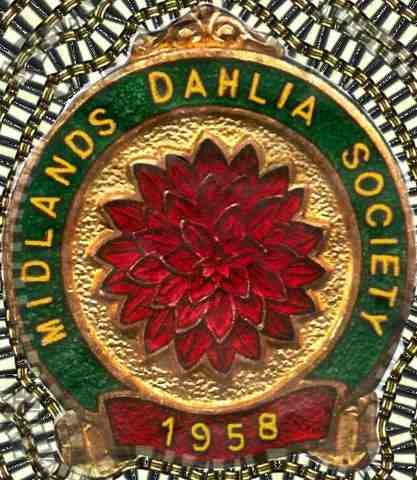 The final society show of the year saw 14 exhibitors put up 43 entries, down on last year, but still good given the weather in recent days..
Gabby Hayes wins the NDS Silver Medal . 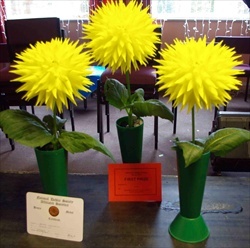 Gabby's best in show winning entry in class 12 - was 5 nice blooms of George Marston, the new min ball from John Digweed..
Brian Caswell won the NDS Bronze Medal for second best exhibit in show with 3 blooms of Janal Amy.. 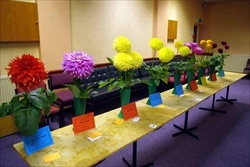 There were quite a few entries in the large and giant classes. Peter Club won the battle of the Kenora Challengers. 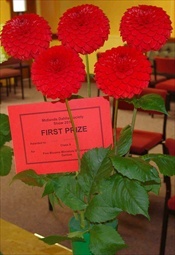 Below is Tim William's winning entry in class3 with Elma E and Janal Amy. 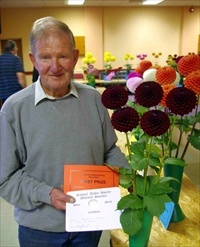 Paul Stanoch cleans up in the novice classes with 4 1st prizes. 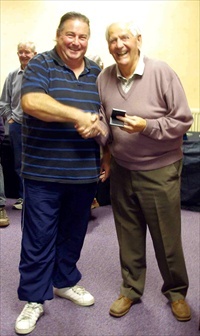 Paul receives his best novice exhibit prize from President Les Jones. 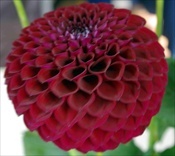 His winning vase was 3 blooms of Dikara Moon - shown below. 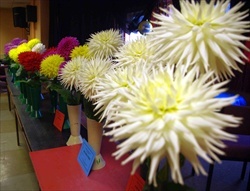 The Novice entries are shown on the right. The ones with red 1st prizes are Pauls! 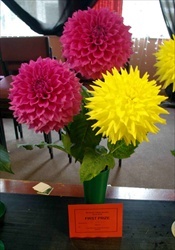 Rob Cheetham wins class 6 with two blooms of Peach Delight and one of Ruskin Sunshine. . Les Jones liked the Ruskin Sunshine (below) especially. 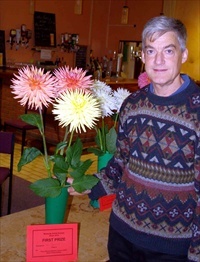 Rob mentioned that he had cut the blooms and left them in his cellar for a couple of days. 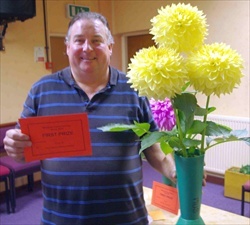 Rob also won class 9 - with Toy Boy.